Camden County Prosecutor Mary Eva Colalillo and Lindenwold Police Chief Thomas Brennan are seeking the public’s assistance in locating a missing Lindenwold woman. Marrianne Bateman, 79, who resides at the Lindenwold Towers, was last seen Oct. 22 at a borough bus stop by one of her building’s maintenance men. 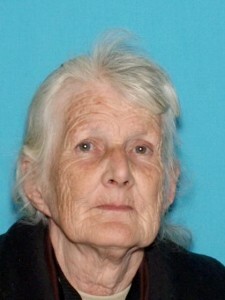 She is described as a white female with gray/white hair standing 5-foot-10 and weighing about 115 pounds. It is unknown what kind of clothing she was wearing at the time of her disappearance. Anyone with information about her whereabouts is asked to contact Camden County Prosecutor’s Office Det. Paul Audino at (856) 225-8449 or Lindenwold Police Det. Noel Cortes at (856) 784-2630. Released: Friday, October 31, 2014.